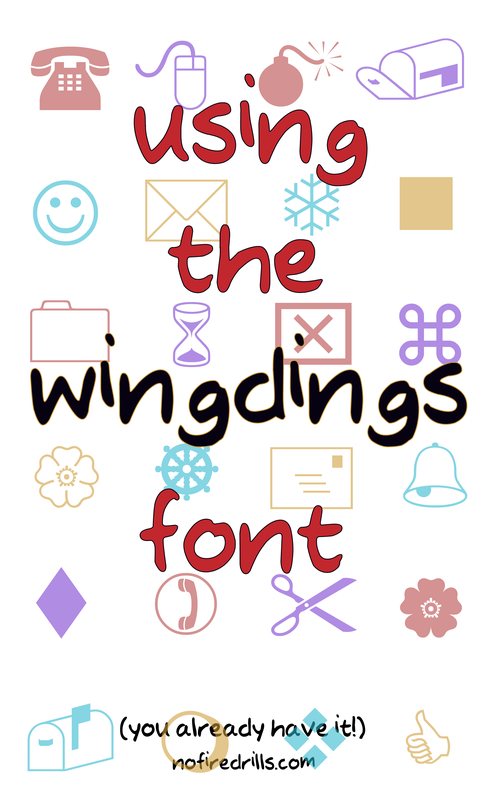 Wingding - Dong! - Be your best teacher! I LOVE the Wingdings font! It is such fun and you probably already own it! It comes free with Microsoft Office, so give it a try! Select Wingdings in the font box when you are in Word or PowerPoint and starting typing to see all the cool possibilities. Check out the video below from the PowerPoint gurus over at Nuts and Bolts Speed Training to see how easy it is to create icons for all your presentations and handouts! Next Post Are you a Google search pro?